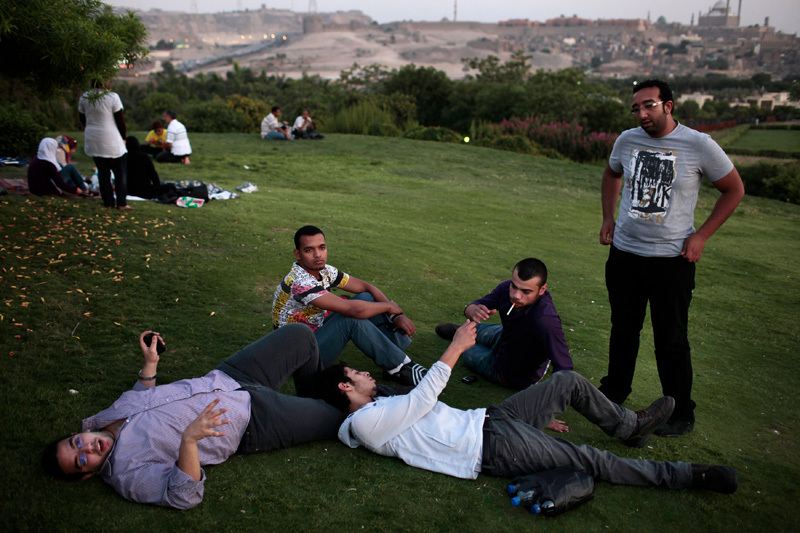 Egyptian university students from Tanta hang out in Al Azhar park to celebrate their recent graduation in Cairo, Egypt June 22, 2011. They complained that it is quite difficult for new graduates to find employment. Economically, the country is struggling, as a system whose inequities and lack of opportunities helped topple a government, has now ground to a virtual halt, further wounded by the revolution itself.